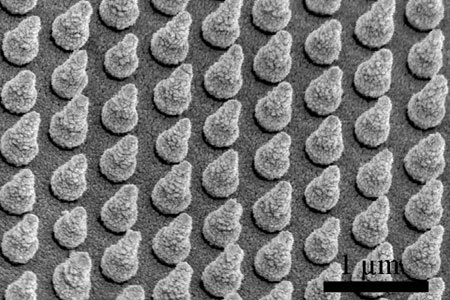 (Nanowerk News) A Stanford University research lab has developed new technologies to tackle two of the world's biggest energy challenges - clean fuel for transportation and grid-scale energy storage. 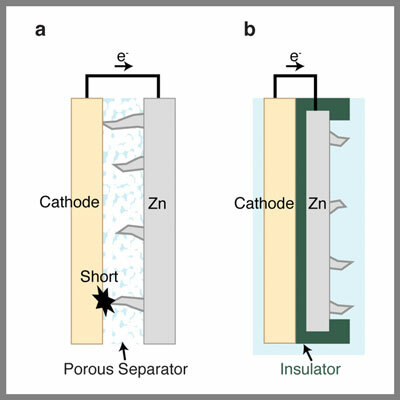 The researchers described their findings in two studies published this month in the journals Science Advances ("Efficient solar-driven water splitting by nanocone BiVO4-perovskite tandem cells") and Nature Communications ("Avoiding short circuits from zinc metal dendrites in anode by backside-plating configuration"). Unlike gasoline-powered vehicles, which emit carbon dioxide (CO2), hydrogen cars themselves are emissions free. Making hydrogen fuel, however, is not emission free: today, making most hydrogen fuel involves natural gas in a process that releases CO2 into the atmosphere.